If you are currently considering purchasing a new or second-hand piano, why not listen to some suggestions from us. We have been in the piano business for many years now and we know all the most frequently asked questions. But more importantly we know the questions that should be asked. Specialist knowledge & advice is needed when acquiring a piano, which after all is not an everyday purchase. We, at Moloney Pianos, can provide the piano you require, but we need to know a few things first. 1. Is the piano going to be used by a beginner, advanced player, or a professional? How many people are going to use the instrument? 2. How much space have you available? If you think the dimensions may cause a problem, why not contact us with the measurements? 3. Even though it is primarily a musical instrument, does the piano need to blend in with existing furniture? Light or dark in colour, high gloss, satin or matt finish, mahogany, rosewood, walnut etc. 4. How much money do you intend to spend? Price and quality are very closely linked. Reconditioning pianos is very expensive and labour intensive if done properly. Beware of cheap, apparent bargain pianos. These may cost a lot more in unforeseen maintenance costs. GOOD TONE: This is a subjective thing and peoples opinion on tone will vary greatly from one person to the next. To find what is right for you simply compare different pianos. Of the 40-60 pianos that we hold in stock, no two will have exactly the same tone. Always pay particular attention to the bass section of the piano when assessing the tone. 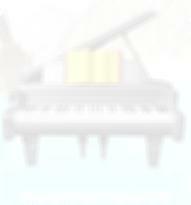 RESPONSE; This is a term used to describe how the keyboard feels and reacts when being played. The touch" can be described as light or heavy. The beginner likes a light touch and the more advanced player will require a heavier and more certain touch. TUNING STABILITY; relies on the condition of the wrest plant and tightness of the tuning pins. Always make sure the piano is tuned to concert pitch. RELIABILITY; unless you are familiar with action disassembly you cannot fully check a piano for reliability. However, to put the customers mind at rest we always give a 5- 10 years guarantee with all reconditioned and new instruments. We can give the guarantee because we disassemble all actions to check for sluggish moving parts of which there are 5,000 in a piano. We also replace any worn felts, leathers, tapes, baize and springs. Just because a piano is brand new does not mean that we do not test its action also. APPEARANCE: like tone is subjective and you the customer are the only one who knows what is right for you. All our reconditioned pianos are stripped, sanded, stained and refinished to a high standard. This process also allows us to check thoroughly every part of the instrument for woodworm, which is something you definitely do not want. BACKUP: Piano dealers build their reputations on after sale service and not just sales. We always explain to our customers when a piano leaves our showroom, it becomes the customers piano but remains our responsibility.